February is the month of love and since the average American spends 90,000 hours at work over their lifetime, learning to love your job and the company you work for should be a priority to everyone. 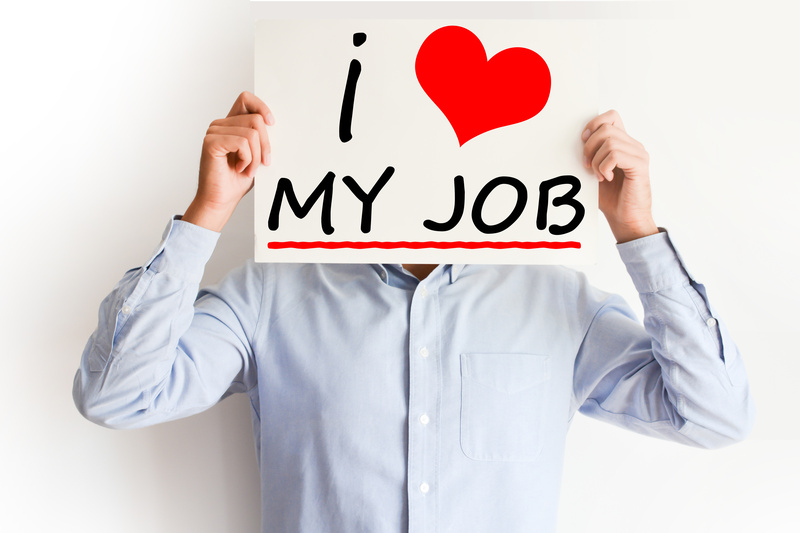 Here are five ways you can learn to love your job and make your 90,000 hours at work better! How does your current position help you further your ambitions? What are your goals within your role in the company? Where do you see yourself growing within this role and the organization? By asking yourself these questions, you can set a plan in motion that works with your colleagues and the leadership team to set goals and progression markers for leading your career where you want to be. The energy you bring when you show up will be apparent to your colleagues and your bosses. Make sure you are coming to work with the spirit of positivity and working to keep positive within the workplace. We all have moments where bringing that spirit is difficult, and it's important to change how those moments occur to us. If you look for the good things, the good stuff find you! Talking to your colleagues and building your network of friends and professional contacts is a fantastic benefit of shared workplaces! By communicating with people in your office about their personal and professional aspirations, you may find more in common with them than you previously knew possible. You may discover shared goals that you can work together on, or you can gain trust to help build your relationships for the present and the future! “There is always space for improvement, no matter how long you’ve been in the business.” This quote from Pro Boxer Oscar De La Hoya is the perfect mindset for why feedback is so valuable. How do you know what to improve unless you actively seek feedback on what you are doing currently? Set up one on one's with your boss and ask for constant feedback. Good or bad, feedback is essential and can help us work better & grow our skills. Personal feedback is also critical to bettering yourself beyond just work skills. Take a moment now to ask yourself "Why do I like to work here?" and write down the answers. You should be able to find a few things that you currently love about your job, whether that's the people you work with, the industry you are a part of or some other aspect you enjoy. Take those ideas and amplify them! Making them a more significant part of your work day and time spent at the office will help you grow what you love about the job and focus on the reasons why you show up every day. Knowing what you want, being a beacon of positivity, networking, feedback, and self-reflection can help you fall head over heels in your workspace. Use these tips to reinforce what you love about your job and grow that love with your colleagues and leadership!